Although I have temporarily given up on the iPod, (see rant below for an explanation) the recent announcement by BMW that iPod integration will be standard on all models beginning in July 2006 has made me very excited. Two things that get me excited, the iPod and BMW will be easier to enjoy as one! Yes, the iPod integration kit has been available on BMW models as an additional option for a while, but making it standard really cements what a “lifestyle item” the iPod has become. Four failed hard drives in 12 months and finally they wouldn’t replace my iPod because it was “out of warranty”. Tangent alert! While I may understand that, I offered them my frustration at a product that had failed on my four times within a year. How was I supposed to trust and a company that had consistently failed my expectations, multiple times. All they (the guys at the Genius Bar) had to say was “the technology is improving and the next generation Ipods are much better”. Or I could replace my hard drive myself, by looking online for instructions and a new hard drive. Neither answer was what I was looking for. So although I loved the portability of carrying every song in my music collection with me on my 60 GB iPod, I have seriously downgraded to a 128 MB flash MP3 player. 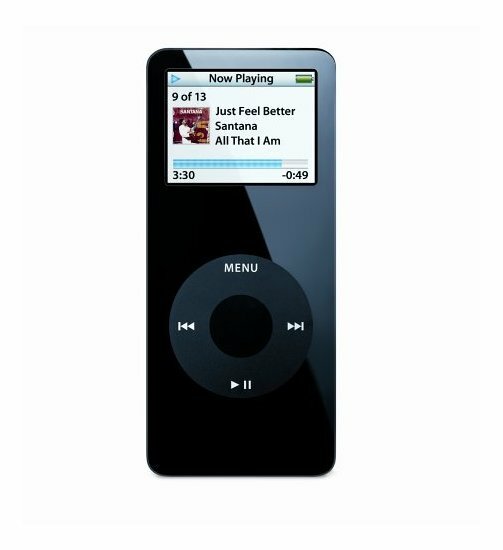 I’d really like a black Nano for the gym and maybe a video iPod for it’s storage and nice color screen, but I’m waiting. Maybe my confidence in Apple and the iPod will return and I’ll venture to an Apple Store to get my fix.